OCPAA offers a variety of recreational dance classes for dancers of all levels and disciplines starting at 18-months to 18-years of age. We can teach your little ones to love the art of dance, which helps them learn confidence and the ability to express themselves in a positive way. Our dedicated and talented instructors are some of the best in the industry and take the utmost care in making their classes informative and fun! You must be registered in our Parent Portal to enroll in classes. By clicking “enroll” below for your desired class you will be taken to our portal and can either log in for returning families or register for new families. Please visit our TUITION page for information on registration and tuition fees our makeup policy and other importation policies. For questions please email ocpaainfo@gmail.com. We look forward to seeing you soon! Click ages below to view all classes for the listed age range and to register. All recently added classes for all ages and days are listed below. You may register directly by clicking the enroll button next to the class listing. These classes are also listed on their specific age range page. Classes, times, days and instructors subject to change without notice. Please contact the studio office for latest information if trying a class for the first time. 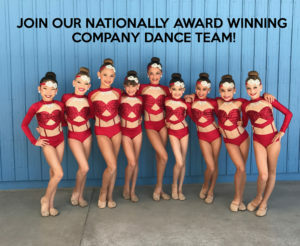 For competition/advanced classes please contact ocpaainfo@gmail.com with the subject COMPANY.